Sharing all the benefits of the 4000 Series, DBA’s 5000 Series rotors are a composite 2 piece direct replacement brake rotor. DBA uses only the highest quality materials to ensure optimal performance under the most strenuous circumstances, combining high carbon cast-iron rings with aerospace grade aluminium hats (T6061-T6), held together with National Aerospace Standards (NAS) bolts and crimp nuts. The 5000 Series share all of the performance technology featured in the 4000 Series, with the added benefits of further weight reduction and improved heat management via aluminium hats. The use of aerospace grade aluminium hats reduces the unsprung weight of the brake rotors, while allowing for uniform radial disc expansion through the cast iron rings, and reduced heat transfer from disc to hub via the aluminium hats. DBA offers both complete assemblies for first time replacement (hats and flat discs bolted together) along with replacement hats and flat disc rotors (rings). This allows drivers to re-use their DBA 5000 Series hats with DBA replacement flat discs (rings). DBA recommends the 5000 Series for high performance street vehicles, track day and club racing and rally applications. DBA’s 5000 series direct replacement rotors are available as complete assemblies (hat and rings bolted together for direct replacement), or as replacement parts (hats or rings). 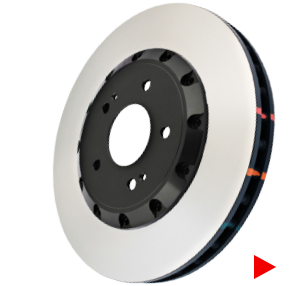 This allows driver’s that own DBA 5000 Series rotors the option to replace only the cast iron rotor rings, while keeping their previously used aluminium hats. This is not only cost effective for those that are hard on brakes, but it allows for easy replacement of DBA hats or rings. DBA recommends that aluminium hats should always be thoroughly inspected for damage and wear when only replacing the 5000 Series rings, along with the use of DBA spec bolts and nuts. DBA recommends 13 Nm or 9.6 ft lb of torque when tightening the NAS nut and bolt assembly. Please refer to the Fitment Guide for more information. DBA’s 5000 series HD variant features a smooth OE style rotor finish, popular for drivers looking for the benefits of a 5000 Series rotor but requiring no slot or cross-drilled and dimpled design. 5000 Series HD part numbers are not denoted by any part number suffix. DBA’s 5000 Series XD variant features DBA’s non-directional cross drilled and dimpled design. The XD finish providing cooling benefits above the HD finish along with enhanced sports looks. DBA utilises a mix of dimples and drilled holes to provide enhanced structural support above transitional cross drilled techniques. DBA recommends a T3 slot for high performance applications. 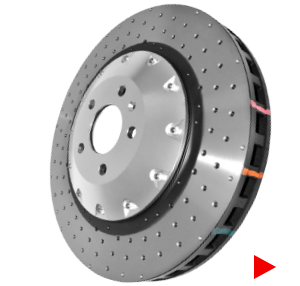 XD rotors are denoted by the suffix (XD) in 5000 Series part numbers. DBA’s 5000 Series T3 is the ultimate in direct replacement 2 piece performance brake rotor. Featuring all the benefits of the 5000 Series along with DBA’s patented world renowned T3 bi-directional slot design. Built on the foundations of DBA’s T2 slot, the T3 slot design features additional precise CNC machined tri-symmetrical slots, resulting in an even quieter, more responsive and smoother braking experience. The T3 slot increases the number of exit points for brake pad friction dust and gases to escape through, further increasing the consistency and effectiveness of every brake stop. DBA’s revolutionary universal slot design eliminates the need for separate left and right slot designs seen in traditional rotor designs. 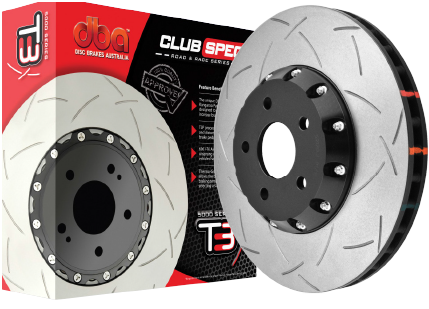 DBA’s 5000 Series T3 rotors are recommended for all performance applications from street driving, 4×4 and SUV, light utility vehicles, track days, club racing, rally cars and armoured vehicles. 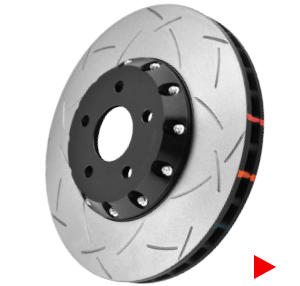 T3 rotors are denoted by the suffix (S) in 5000 Series part numbers. Wave technology is the latest performance offering from DBA. 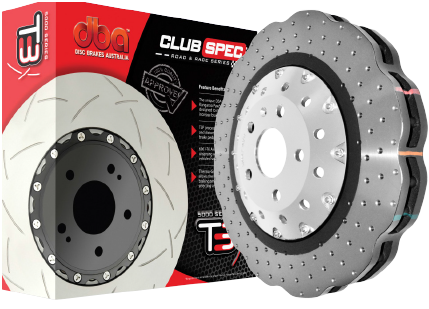 Inspired by motocross and high-end niche performance vehicles, DBA achieves a Wave finish through individual precision milling of 5000 Series rotors. 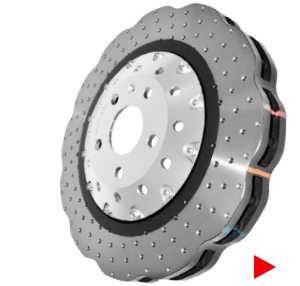 The wave is a fresh take on brake rotors that offers a weight reduction benefit over traditional circular rotors plus an impressive look. DBA has introduced the wave design to an ever-growing range, including European vehicles and other performance models. 5000 Series Wave discs are available in HD and XD variants. Wave discs part numbers are denoted by the suffix (W).